This blank female racecar driver mask with goggles is perfect for any NASCAR fan. 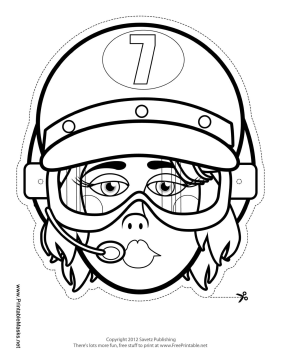 Color in her helmet, goggles, and special number seven for a fun craft project you can wear. This mask is free to download and print.